Procrastinators continually put off tasks until “tomorrow,” frequently never arriving at a time when tasks are actually completed. They often end up in a vicious cycle that affects them physically, psychologically, and professionally. 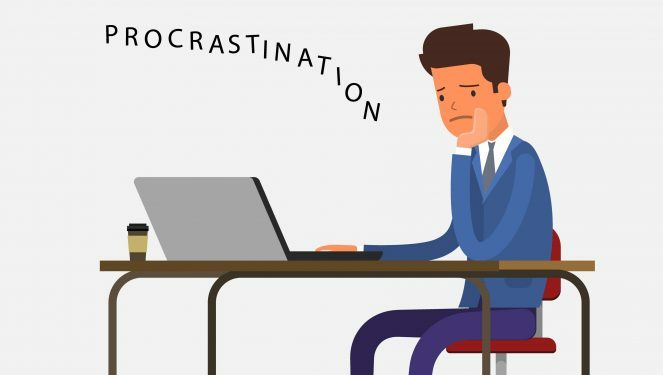 In this article, we will look the reasons why procrastination is actually dangerous for you. Next, we will look at the signs to look for to determine if you, or someone you love, are actually a procrastinator. Finally, we will discuss ways to break the procrastination habit. Procrastination influences one’s life. Adult procrastinators often lose the respect of coworkers, friends, and family. You may lose your ambition in your personal and professional life, setting yourself up for failure. 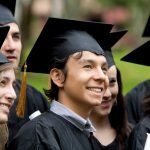 Younger procrastinators struggle in school and their social lives. There have been cases where extreme procrastination has led to divorce, bankruptcy, and even suicide. Putting off health related tasks, such as an annual physical exam, eating a healthier diet, or starting an exercise program threatens your physical health. Procrastination causes stress, which compromises your immune system. Studies show that those who procrastinate have poor diets and trouble sleeping. The distress and stress of procrastinating often leads to unhappiness, thus affecting your emotional health. Additionally, procrastinators may avoid social interaction and the resulting isolation further causes mental distress. Often, procrastinators do not recognize they have a problem. You are probably reading this article because you believe you, or someone you know, is a procrastinator. However, how can one identify a procrastinator? 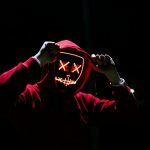 The following list of personality traits and avoidance tactics will help you decide if procrastination is the culprit causing task-completing problems and lack of success for you, or someone else. Procrastinators frequently display certain personality traits. To assess whether you are a procrastinator, see if the following personality traits apply to you. You take care of unnecessary and unimportant tasks to avoid taking care of bigger ones. You wait to start a task, telling yourself later would be better – you need to research, prepare, and plan before beginning. However, you never actually reach the point where you are ready to begin. You mentally – and sometimes actually – create scenarios where it is impossible to complete a task. For example, you want to find a better job, but think about how you have put so much into your current job, and, after all, maybe things will get better. You are caught looking at your past. You dwell on past failures, or keep analyzing what you have done in your past life and never get as far as completing a current task. Procrastinators do have certain personality traits, but they also have techniques they use to help them avoid doing necessary tasks. Procrastinators often make an undesirable task so complicated, it becomes almost impossible to complete. For example, a person decides the house needs painting, but wants to do the entire area all at once, which involves moving furniture and taping above all the baseboards. Additionally, they decide they want the best, most expensive paint, which is prohibitively expensive. Thus, they reach the conclusion the task is too difficult and costly to complete. Procrastinators are often second guessers, constantly weighing options, and never reaching a decision. They are convinced whatever decision they make will be the wrong one. The result is an inability to move forward and complete tasks. Perfectionists are some of the worst procrastinators. The time is wrong, more research must be done, or they need to perfect the first portion of a multi-step task. Additionally, a list does not work for a perfectionist because they are convinced the tasks listed will take much more time than they have available for doing a good job. Procrastinators frequently doubt their own abilities. Although they may want to finish a task, they convince themselves they lack the ability to do so. They compare themselves to others and decide they do not have enough experience or education to complete the task. Additionally, instead of doing the task they should do, they find a task considered easier – one that frequently is less relevant or has a low priority. Procrastinators often set themselves up for failure by setting up roadblocks that prevent success. They create reasons for not being able to complete the task. They do not have the right materials, enough room, adequate help, etc. Once one problem is resolved, they find another one that prevents action. 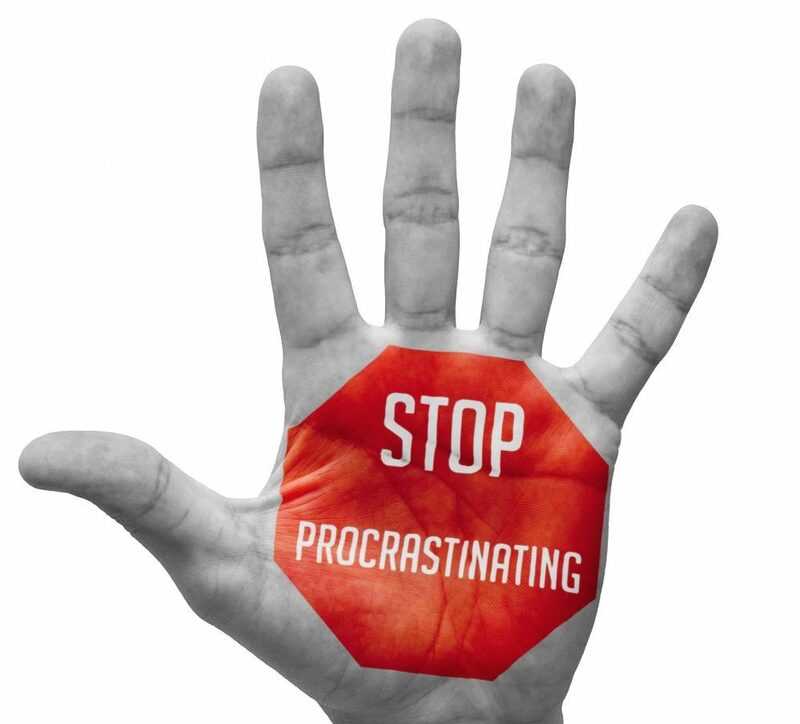 There are not only many reasons and ways people procrastinate, but also many methods for stopping. It is not enough to make a decision to stop procrastinating; you need some practical ways to do so. Not all of the suggestions we provide will work for everyone. We have included those deemed most successful by those who have managed to stop procrastinating. Additionally, some of our suggestions come from mental health experts who have worked with procrastinators whose problem was so debilitating they sought professional help. You may find your own unique solution. The key is to find what works best for you. If you try something and it does not work, do not give up, but try another method. Telling others your plans to complete a task adds accountability. Family, friends, and others will ask how the completion of your task is going whenever they see you. The possibility of embarrassment when you must confess you have not yet begun your task can be a powerful motivator. Read our list of ways to stop procrastinating and choose whichever you believe will work for you. If you are not successful, try a different one. Sometimes it works to combine more than one method. Again, not all of these methods work for every individual. You may that one even contributes to your procrastination, for example, making a list is as far as you ever get as you perceive the job as completed once it is listed. Make sure you are concentrating on getting the right things done. Yes, there is always more to do, but do not think about that, instead decide what you really need to do. Make a list and then number the items in order of importance. Work through your list in numerical order. Large tasks often seem impossible to complete, especially for a procrastinator. Break your large task into shorter chunks and then set up a timeline for completion. Set specific dates for completing each chunk of the task. Design your to do list to meet your individual needs. Some people do well only listing items usually avoided, and excluding tasks done every day. Others list everything, as they get a feeling of accomplishment by crossing off items. You may like dividing tasks into groups using time, similarity of tasks, or days of the week. Get rid of distractions. Turn off the TV, do not answer the phone, and if you are tempted by Facebook or email updates, turn off the automatic notification options. Some people set up a special place for working on tasks – a designated room, computer, or location – in which they only work on tasks needing completion. Procrastination frequently occurs when a task seems just too overwhelming to begin. For example, writing a book seems daunting. However, breaking the task down into steps, such as creating an outline, writing the rough draft one chapter at a time, and revision (after the book is completed! ), makes the task more manageable. Reward yourself at milestones on a long task. Take a break and allow yourself to solve a puzzle or read a chapter of a book after an hour of uninterrupted work. Use larger rewards at the end of completing a large task or at the end of a week of productive work, such as a night out with friends. Establish some consequences if you avoid a task. For example, if you do not exercise three times a week, you cannot shop for new clothing. Determine if there are parts of a task that you can delegate. 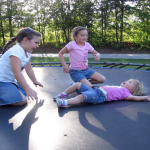 Family members are capable of completing many routine tasks, freeing you to complete a larger, more complicated task. See if someone else may be able to accomplish part of the task, i.e. having what you write proofread by someone else instead of doing it yourself. Examine your work area. Make sure you have the necessary tools to complete your task. Your work area should be well lit, with comfortable seating. However, make sure you are not so comfortable you find yourself relaxing instead of working. It may also be necessary to change the arrangement of your workspace if it becomes less conducive to work after some time. This may seem like a given, however procrastinators often just cannot get started. Set a timer and tell yourself you will work on a task for a short period, such as five or ten minutes. Often you will find that once you start, you will keep going. Be around productive people and pattern your life after the things they do to achieve success, especially in those areas in which you tend to procrastinate. Continually clarify your goals. You will never get there if you do not know where you want to go. Do not compare yourself or your ability to others. You can always find someone more creative, faster, smarter, or better able to complete whatever task you set for yourself. Take action. If you cannot tackle the big task, go for the small ones. Get something done each day – something you can feel good about accomplishing. Quit making excuses. You may think you have valid reasons for delaying a task, but learn to be honest with yourself when you procrastinate. 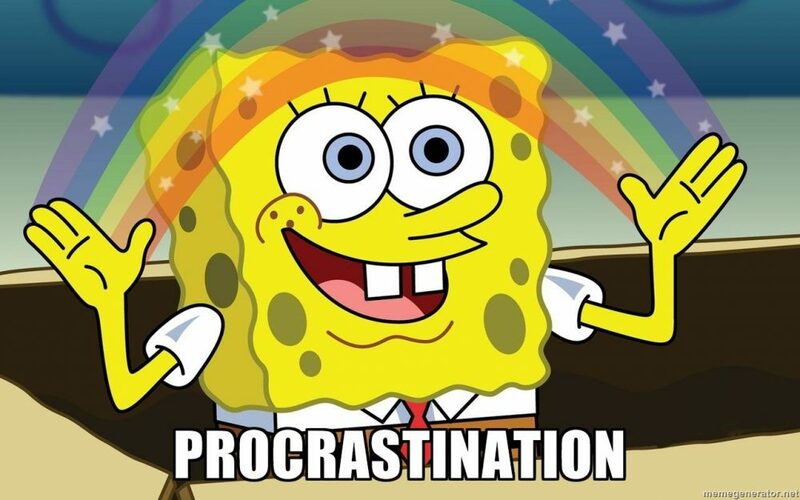 If necessary, go to the doctor to remove any physical or psychological reason for your procrastination. Poor health can impede the best efforts. Do not give up. With time and effort, you can overcome the habit of procrastination and lead a happier, healthier, more productive life.